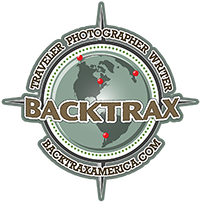 I traveled North on the dusty and desolate Bannack Bench Road, and I was beginning to believe Montana didn’t have many paved roads. Several miles of driving took me past a cow, on the wrong side of the fence, who had (like two minutes earlier,) given birth. I wanted to stop and take a few photos, but didn’t want to scare the new momma. I continued on my dusty drive. A few miles later, I came to a crossroad. 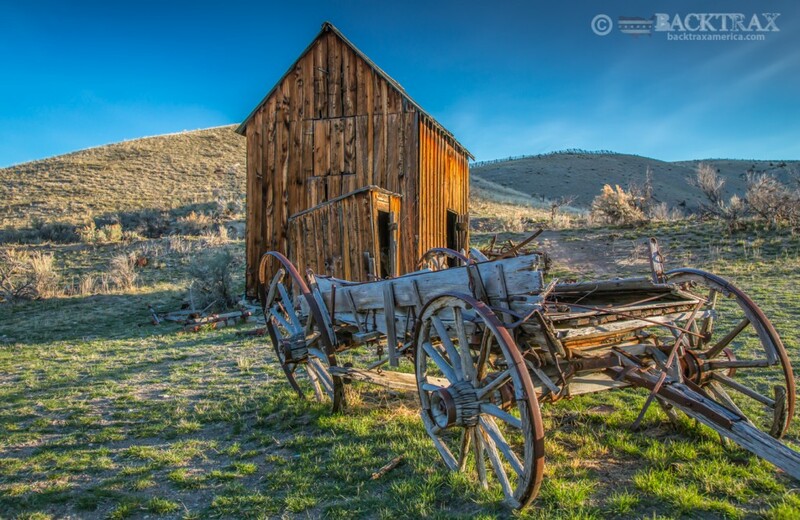 There were no stop signs, but, as I glanced to my right in the unlikely chance other vehicles would be coming, I saw the “Bannack State Park” sign. 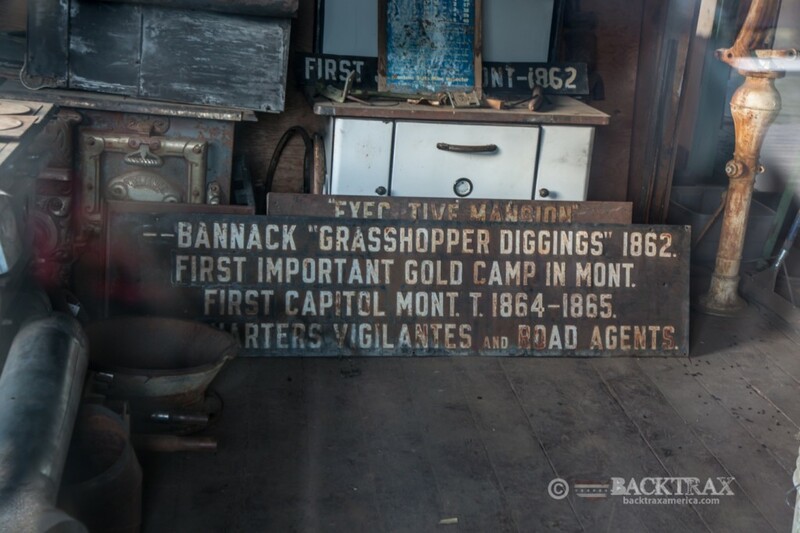 It was not a big sign, surprisingly small to be honest, and it was the only sign I had seen that even mentions Bannack. I turned right. 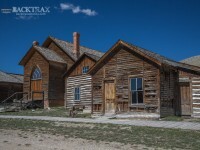 July 28, 1862 gold was discovered in the creek waters which flow through what was to become Bannack, Montana, by John White and other members of the “Pikes Peakers.” It was the beginning for both Bannack and the State of Montana, and was considered one of the last frontiers. Word of a gold strike quickly spread and the second greatest gold rush to the west began. 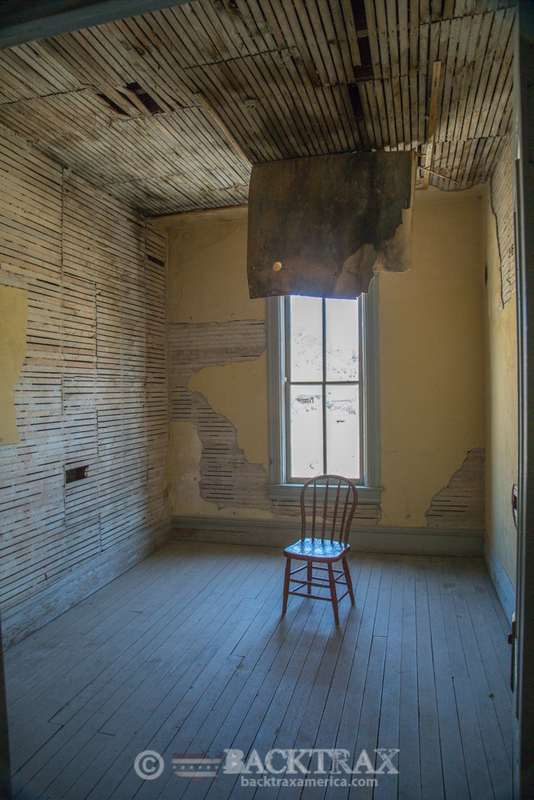 Bannack grew rapidly, and, at one time, had 10,000 residents. Along with the good comes the bad, and the bad came in droves. The roads in and out-of-town were notorious for robberies, so, a man named Henry Plummer was elected Sheriff in hopes of reducing the crime. Later, Plummer was suspected of being the secret leader of one of the most violent gangs that robbed the gold miners of their riches when they left town. 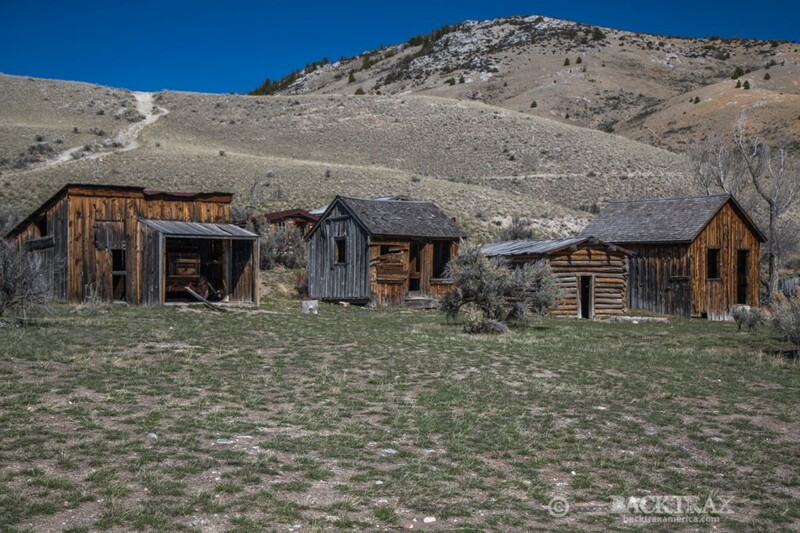 In the year 1863, it was estimated that 100 men were murdered when they left Bannack on their way to Virginia City. 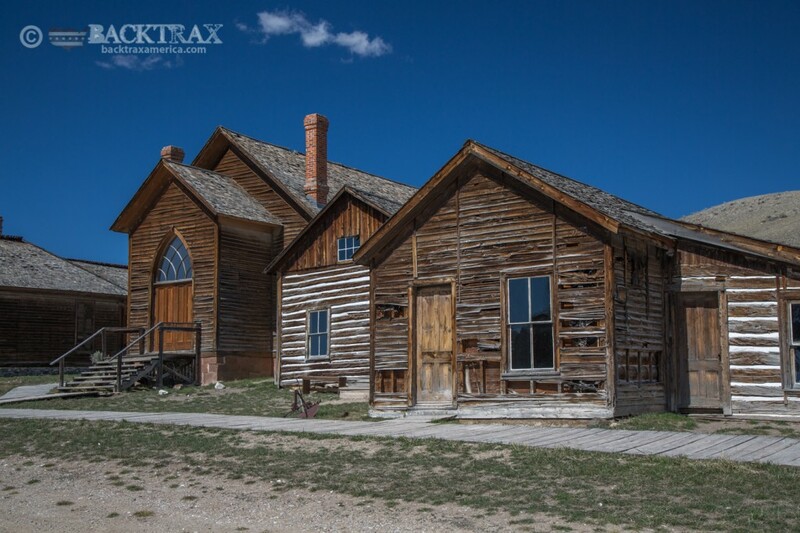 A group of men, who were tired of the violent crimes, formed the Montana Vigilantes, and quickly brought justice to Bannack with the hanging of 24 men who were suspected of committing the violent crimes in the year prior. One man, Erastus Yager, confessed at his hanging that Henry Plummer was indeed the leader of the violent gang. Plummer was rounded up and hung at the gallows that Plummer himself had built. 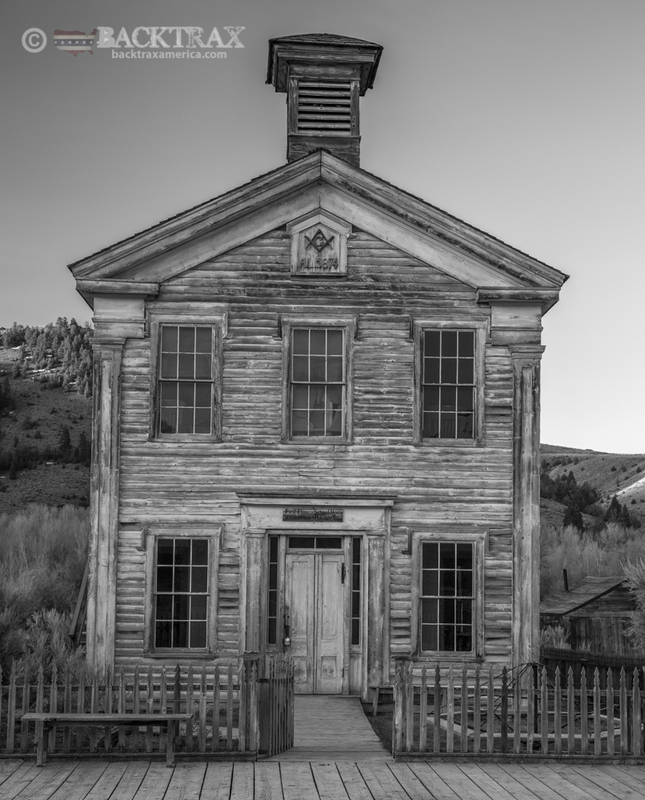 In 1864 Bannack became Montana’s first Capitol and lasted until 1865 when the Capitol was moved to Virginia City. 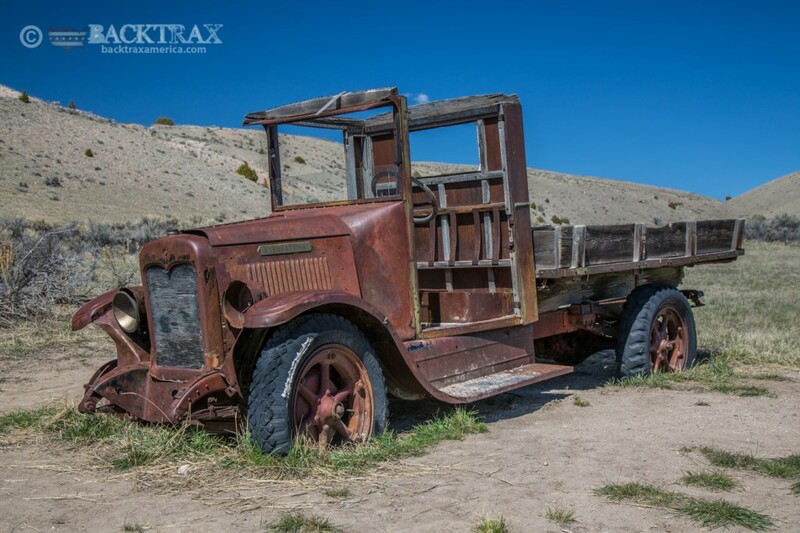 Bannacks population dwindled with the prospectors moving on to richer ground and the last resident left in the 1970’s. 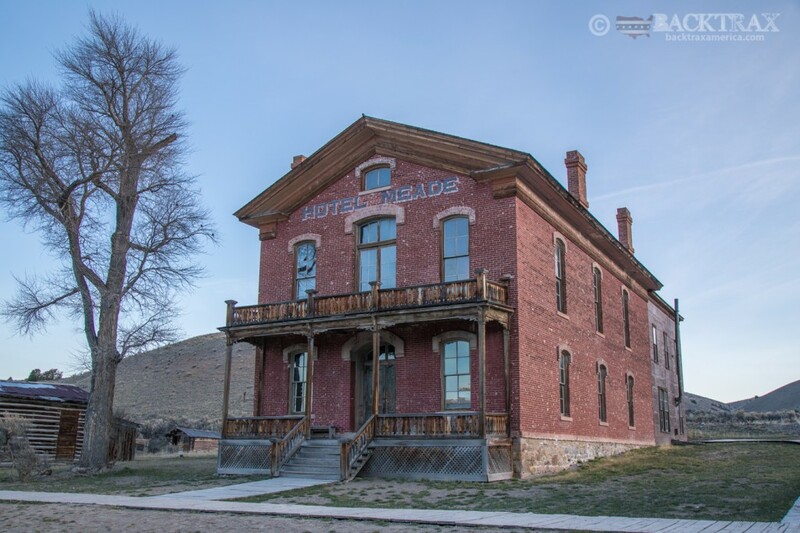 Bannack comes alive the third weekend in July with “Bannack Days.” The State Park system hosts a weekend with re-enactments of the glory days of this now ghost town and you can even eat an old timey breakfast at Hotel Meade. 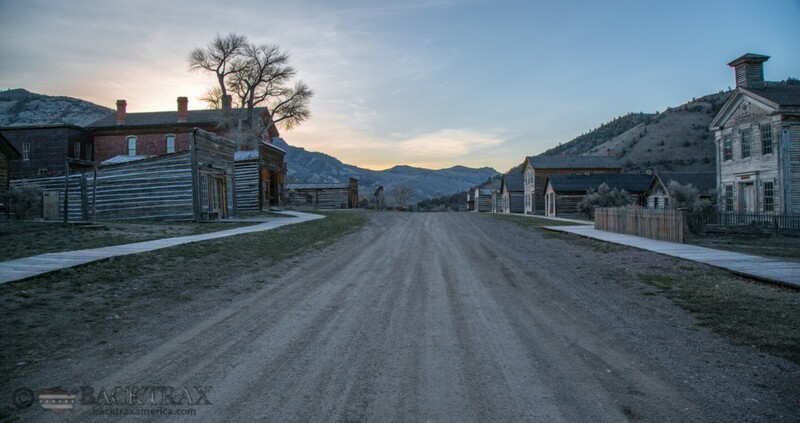 I pitched my tent next to Grasshopper creek, in the Bannack State Park campground and fell asleep listening to the swift river flowing by and the gentle wind coming down the mountains. I fell asleep smiling with the realization I was finally in Montana! 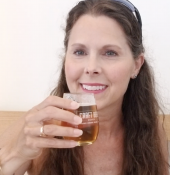 Travel tip: If you plan on staying in Montana’s State Parks for four nights or more, and you are not a resident, buy their park pass for $35.00. 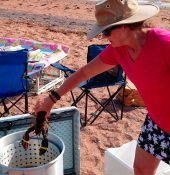 You will get $10.00 off the non-resident fee per night. 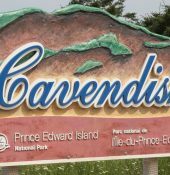 The pass will also get you free entrance into other State run parks. 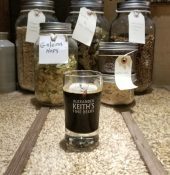 Great write up and interesting looking little town. This is exactly what I look forward to after July this year is finding these little sweet spots across our Country.